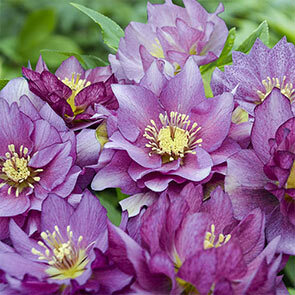 You won't find double hellebores like these in just any garden store. 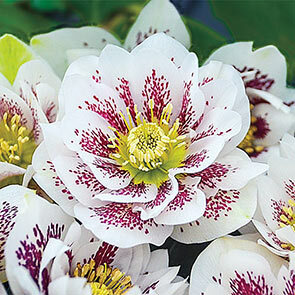 We were simply amazed at the size of these hellebore blooms! 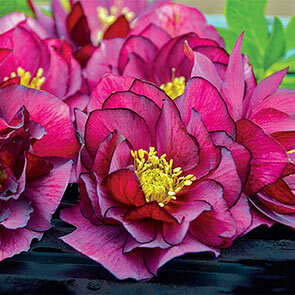 The 2–3½" double hellebore flowers are larger than most, and are held atop strong, non-drooping stems that can reach 18-24" tall. 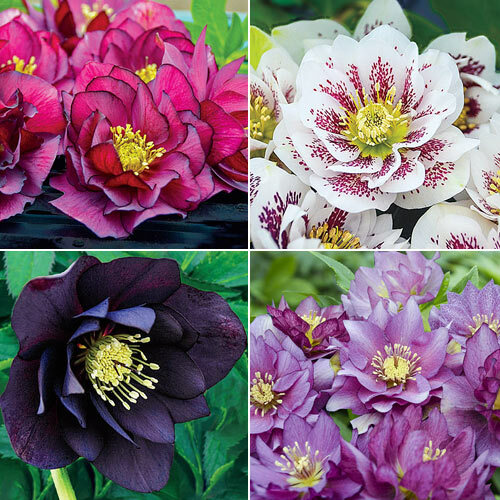 Breck's Wedding Party Collection includes four distinctive varieties, for a rainbow of late-winter blooms! Known as the harbingers of spring, hellebores are often flowering during the Christian season of Lent, which is how they got their common name, Lenten roses. Years of careful breeding have produced an even rarer type of hellebores with showy, double blooms that face upward on sturdy stems—these are hellebores like you've never seen before! 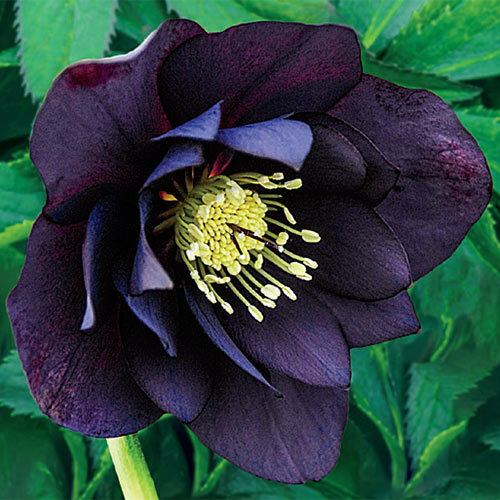 Experienced gardeners know that hellebores are the perfect choice for extending the blooming season, since they produce colourful flowers as early as January in some zones—and keep looking fresh until other spring flowers take their place. But what many don't know is that the colourful hellebore "petals" are actually leaf like sepals, which is how the blooms are able to stay "frozen in time." This exciting double hellebores collection will perk up your winter landscape year after year, keeping its exquisite colour for up to 12 weeks! A Rare Treat for your Shade Garden! Spotting colourful blooms and evergreen foliage against the bleak backdrop of winter is a welcome and rare sight indeed! The very first flowers of the season, hellebores are must-haves for shady spots and patio pots, because they provide colour and interest when everything else is still enjoying its winter hibernation. These reliable naturalizers are drought tolerant and deer resistant, so they'll keep coming back year after year without fail. Maid of Honor: Ranging in color from light to dark pink, these charming blooms are produced in abundance. 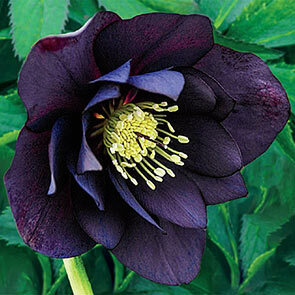 Dark and Handsome: Rich maroon black blooms really pop against the bleak and sometimes snowy winter landscape. True Love: Pretty maroon red petals deepen to dark merlot on the edges. A must-have for winter bouquets. Confetti Cake: Wedding-white flowers feature unexpected burgundy speckles that complement the darker varieties in the collection. Foliage Type Glossy green, leathery leaves divided into 7-9 toothed leaflets. Evergreen in warmer climates. Planting Instructions Dig a hole large enough to accommodate the rootball without bending them on soil level. 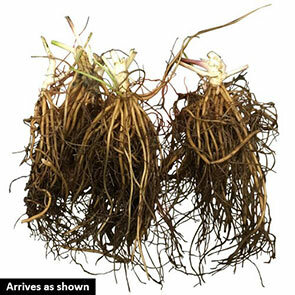 Firm soil around roots and water in well. Pruning Simply trim back last year's foliage in the spring.